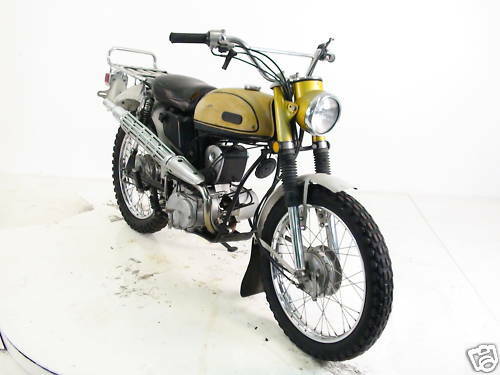 The bike is a 1969 Yamaha L5T produced from 1967 to 69. It's powered by a 100cc two stroke motor fed by a small carburetor fitted to the right had side of the crankcase. 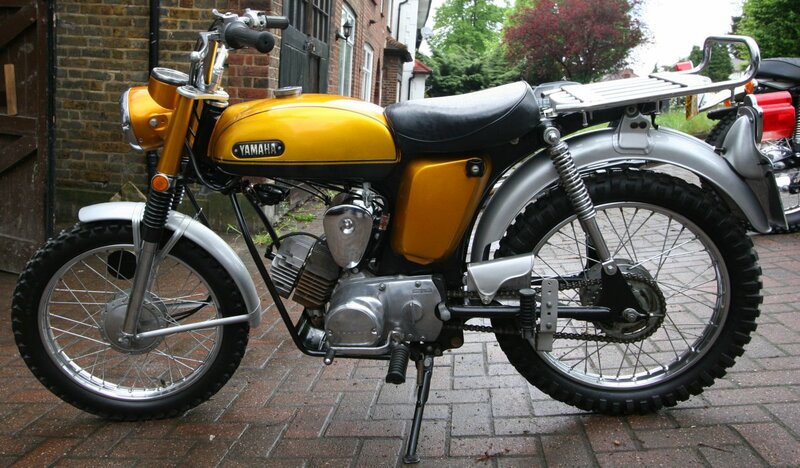 This is a rare old late 60’s – early 70’s Yamaha 2 stroke L5t 100cc single cylinder Trailmaster. Image kindly provided by DK Motorcycles.